Usually, I wouldn’t buy choir gospel records but when trolling through southern Washington thrift stores a guy can get desperate. A private gospel record looks pretty appealing amongst the total crap that is Longview thrift stores. This record isn’t very good but on its last chance listen the second track on side one stuck out. I Think of God either sounds very similar to Summertime or is a gospel version/cover. Either way I’m kind of a sucker for that spooky organ sound. It’s hard to find out stuff about these kind of records since google searches tend to be often unhelpful since there is dozens of Agape Singers out there and none of them are this one. This record was released in 1976 and profits were to benefit the Fruits of Faith Foundation which doesn’t exist on the internet either. The group was led by Mrs. Juanita Lawson Brown. One would guess that a private label endeavor like this would probably be somewhat local but who knows. Picture coming soon. or Soothing instrumental music for those moments alone or with someone you love. 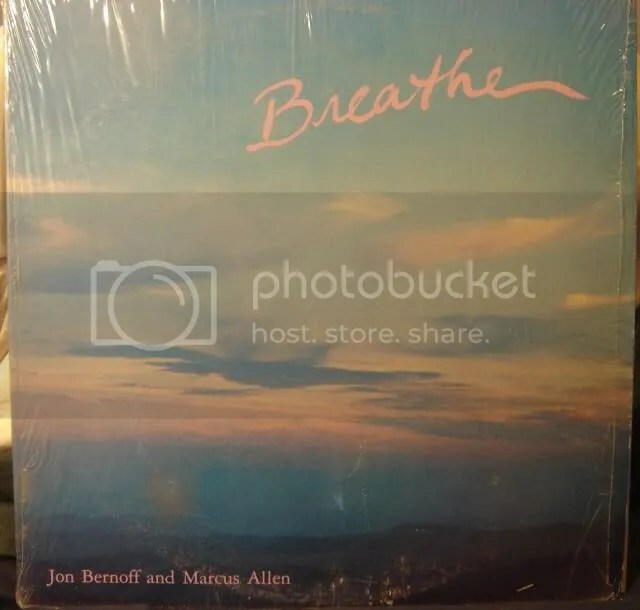 The album was released in 1980 on Rising Sun Records from Mill Valley, California which was kind of a hotbed for new age music in the late 70s, early 80s. Apparently Marcus Allen also did an album which somebody on some weird website describes as awesome. Its called “Petals” with Teja Bell. The website is called All Experts and if you have any new age music questions you can ask Roger Greer host of KXCI’s Brainwaves from Tucson, Arizona. The title track ends the album and at least they leave you on the heaviest that they go. Which isn’t much but its something. Take a listen. This lady plays the piano. Three of the four tracks on this album from 1984 were composed in Surrey or Langley. Brown is also the author of two children’s books. 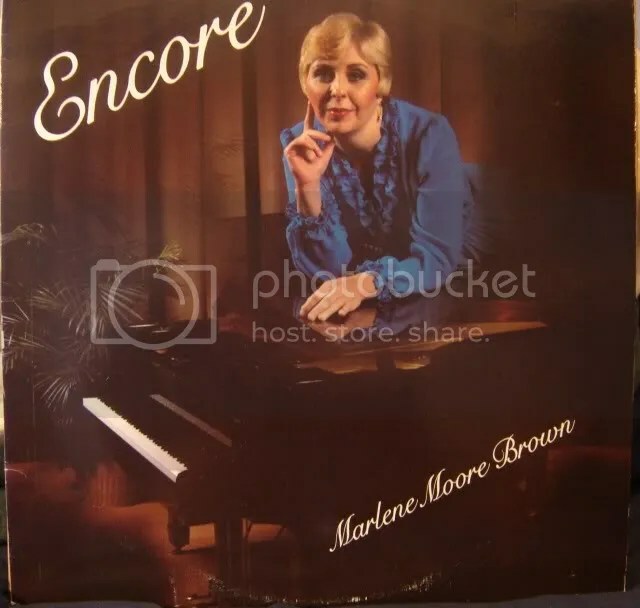 This album was dedicated to Brown’s friend and teacher the late Glenn Gould. Bought this mainly on the sweet 80s make-up job and the fact that she played original pieces. But as probably the most ignorant when it comes to classicalish solo piano, sounds alright to me. Jennie said this sounded a little Twin Peaksish. Location: Just down the street from Harmony Donuts. You are currently browsing the Backroom blog archives for May, 2009.